Every day, across the world, new websites are being created for incredibly different companies. Many of these are created by Hosts, who take care of the nitty gritty, striving to make you visible in the sea of billions. It’s hard to wrap your head around the process of web hosting, and what exactly the service achieves. So, let’s start simple. Hosting services store and upload your website to the internet, and make it functional and accessible to viewers. Acting as a connection between you and your audience, these web hosts should be allowing customers and clients to access your website in a functional and practical manner. There are obviously services that do this better than others, and you need to be able to weed these out through reviewing the success of the websites they host, and the services they provide. There are different ways by which your websites information can be stored, and it is usually dependant on the size of your website or the services you are after. The best way to figure out web hosting is to look at all the sub categories, the benefits of web hosting and how to access web hosting services. Choosing a web host is a difficult process when you are uncertain on what makes a good one. There are a few ways to ensure that you are choosing the right web host for you, and questions you can ask yourself and your prospective web host that will give you a detailed understanding of their services. Is there an uptime guarantee illustrated? Who will be your point of contact? Is there one? What type of servers would suit my business? Where are these servers located? Do you have 24/7 support options? There are different ways in which your website is stored and hosted through. This is a great option for smaller webpages. This is the process of having your website hosted by a shared server that also hosts other webpages with yours. It is usually the most affordable option in terms of hosting, but you can run into a few issues in when it comes to your services being interrupted by another on the same server. The name pretty much speaks for itself, but we will still break it down. A Dedicated Hosting Server is solely for your website. There is no rick of having your service slowed down by another person’s website, as yours is the only one that the server interacts with. It is the holy grail for most websites, and allows for high levels of traffic and functionality. VPS is a form of virtual hosting, whereby the physical server divides itself across a virtual server platform. Each website in this process has its own virtual server, but a shared physical one with others at the core of it. Users will experience a more controlled service but don’t have to invest in the same manner a you would with a dedicated server. For those who choose to host their website through VPS, they will still experience a great level of service and efficient service. What is Cloud Hosting? It is a service that provides hosting over virtual servers. The servers themselves pull information from an extensive network from data centres both national and international web servers. These servers pull their computing resource from an underlying network of physical web servers; this underlying network is generally fairly extensive and involves a number of data centres in different locations. Cloud hosting is a highly versatile and responsive hosting service, and is perfect for webpages with multiple pages, and high volumes of audiences. The clearest way to classify this is buy first identifying your needs as a website. What type of traffic are you currently getting onto your site, and what type of content is your website containing? By analysing this, you may identify the extensiveness of services you need and go forward with the hosting option that best suits all. There are, of course, price differences amongst the different hosting services, which will also have an impact as to which one you choose. Ensure that when any contract is presented you scrutinise it and ensure that all of your service needs are covered, for the agreed upon price point. You can, but we wouldn’t recommend it. You run the risk of not only your website not being supported properly, but also security risks for yourself and your customers. Yes, there are problems associated with different forms of web hosting, but usually your web hosting service will have a team available to fix the problem quickly and smoothly. Find a web host that you can trust, and looks after your needs and the needs of your customers. 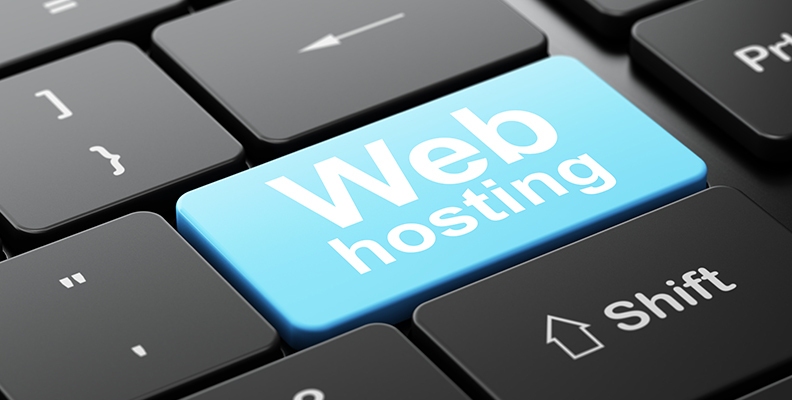 Ensure you evaluate all of the options presented and make an informed decision about the best web host for you.